Lately I’ve been looking at site structures and how PageRank flows through a domain. It’s helped shed a light on some inefficiencies some of our clients’ encounter. That’s why this week I’m taking some time to write about my recent revelations. Plus, it’s my turn to write the blog. I’ll start with a quick shout out to Screaming Frog’s Visualization and Crawl Analysis tools for making the process simple, fun, and interesting. Even some of coworkers were like, “Woah, what are you looking at?” It was mostly just the people that work in paid (psh), but still. If you’re looking for a visual element to help you present on a client’s site structure, the visualizations are an excellent resource and conversation piece. Anyway, let’s kick this thing off. PageRank is as old as dirt in the SEO industry and still a key signal search engines consider when returning search results for a particular search term. As we know, relevant pages and domains with high authority (PageRank) tend to see the most organic traffic. While the answer to boosting authority is commonly pointing more external links to a page, it’s important to also consider how to harness the authority your domain already has. The idea is simple. Your domain is the powerhouse of your online authority. It then passes that authority through to pages on your site, however it diminishes the further away (more clicks) you move from the homepage. Also, the more resources your domain is linking out to, the more pages it must share that authority with. To use your authority (PageRank) efficiently, a good rule of thumb is to place the most valuable resources and conversion driver as close to the homepage as possible. Pages that are not major contributors should be positioned further away (more clicks) from the homepage. Doing this allows for the most PageRank to be passed from your homepage to your valuable pages, thus providing them with more authority to make them more dominant in relevant search results. A more advanced site structure strategy could also include canonicalizing, no follow tags, and even removing bad content to avoid having PageRank distributed to archive pages and poor performers. Screaming Frog’s Visualization tool is pretty neat. It’s allows you to visualize sites by page depth, inlinks, outlinks, and word count. It can also integrate data like such as GA Sessions, GSC Clicks, Ahrefs URL Rating, and Moz Page Authority if you’re into that. Since our topic for now is site structure, my example will be looking at a page depth visualization. “Cool… but what am I looking at?” Well I’ll tell ya what you’re looking at. The dots in the blue box represent the homepage and it’s supporting content. The dot that is surrounded by other dots is the homepage and the dots around it are the pages that are linked from the homepage. Ideally, the surrounding dots are the most valuable pages and are receiving PageRank directly from the homepage – just one click away. 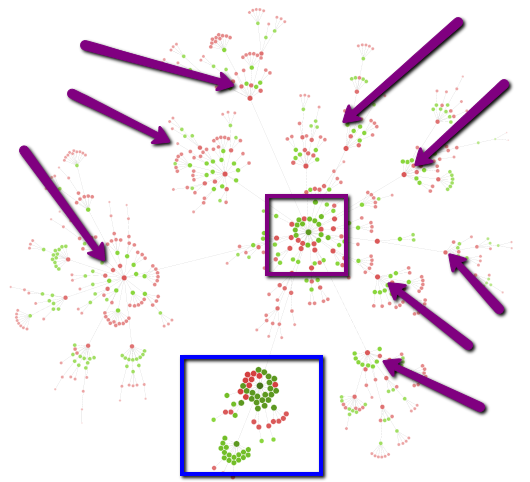 The purple box represents the blog and the purple arrows point to the different categories and authors that then branch off in to the individual articles. Something to keep in mind is that the blog is also only one click away from the homepage but, due to the amount of content it holds, it looks far away in the visualization. You may notice that the dots in the blue box are a much more vivid green and red, while the dots around the blog have more muted tones. I believe this is a representation of the Link Score Screaming Frog assigns to those pages based on distribution of internal PageRank. The dots around the homepage collect PageRank from the homepage without linking out to many other resources. This maintains the PageRank within those pages and boosts their authority. The blog must share it’s slice of the homepage PageRank with all the content that is housed in it, unless that content has canonical or no follow tags that direct their PageRank back to the source. Since the blog is sharing it’s PageRank with many other pages, those pages are getting much less of a boost than the pages that are just a click or two away from the homepage. Pro Tip: Screaming Frogs Crawl Analysis tool provides a Link Score metric that gives you an idea of how much PageRank that page is receiving from the homepage. Placement and site structure are important. Trying something new, big, or exciting for your website? Make it easily accessible not only for users, but also to give it the best opportunity by passing existing PageRank from your domain. Remember to balance how many pages your homepage internally links to so your authority isn’t spread too thin among your resources. 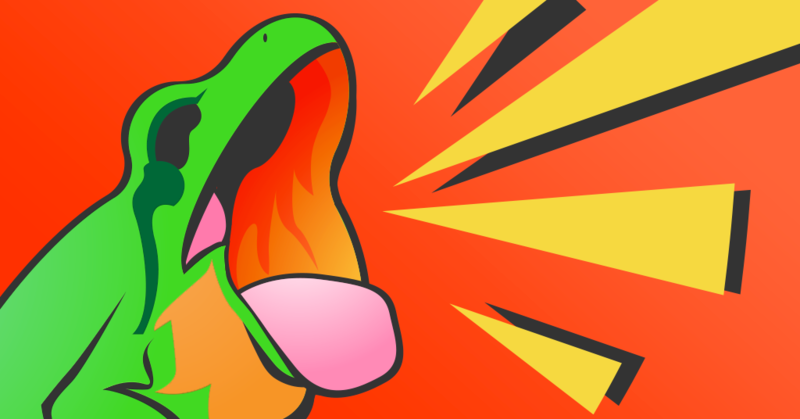 Screaming Frog does most of the conceptualizing and visualizing, so give it a shot. You might be surprised what you find.